Many times we stuck on an image with an attractive text and want to the font name used in writing the text. But, most of the time, we fail to get that. But there are few nice services that you can use to know the font name used in the image. 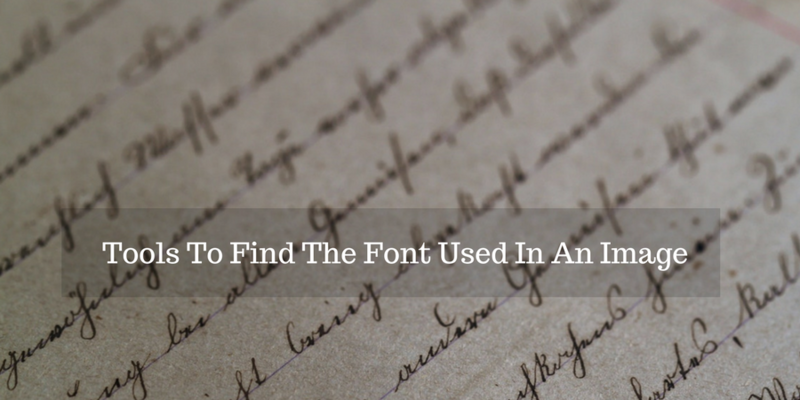 In this post, we are adding 3 online tools that can tell you the name of the font used in writing the text in an image. All the tools provide service free of cost. What The Font is the best and most popular service for this. Simply upload the image or specify the URL and then click on continue. Once uploaded, this service will tell you the best font matching with text used in the image. In case the tool fails in telling you the font, you can use Font Forum to post the image and get experts reply. What Font Is is another nice service that you can use to know the font used in the image. In this tool, you can either upload image or mention the URL. And it will tell you the similar fonts used in the image. Identifont takes a different approach to font identification. In this, you can search font by picture, appearance, name and few other things. It asks few questions before starting the search. If you do not have the image of font, this tool can be effective. These are few tools that can help you while searching the desired font. In case you were looking for the similar service, you can take a look on this list. If you any other tool that should be in the list, you can share it with us via comments.